can have on the garden soil and the plants that are growing in it. There are still many people who falsely accuse earthworms of being a garden pest and harmful to flowers and vegetables. Nothing could be further from the truth. Earthworms are very beneficial for garden soil and the plants growing in it. Of all the gardening advise that we could offer to the millions of hobby gardeners there are 4 that we will mainly focus on. 1.should try to increase the earthworm and compost worm population in his Garden soil. 4.should compost and worm compost kitchen and garden waste to introduce more organic material into his/ her soil. 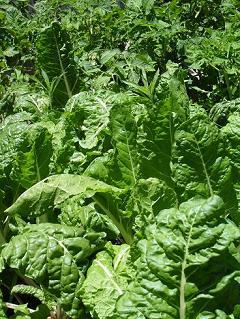 Swiss Chard and tomato plants grown in Worm Casting rich soil. We will show you the positive effects that worms, worm castings, worm tea and compost will have in different gardening styles. 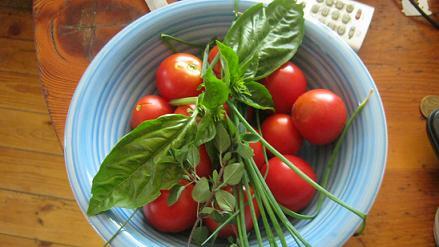 Initially we will give you gardening tips for Square foot gardening and vertical gardening. This will happen on web pages as well as on regular blog posts. Other gardening styles that we want to cover in our gardening tips section will be “container gardening”, “lasagna gardening”, “organic gardening” and “indoor gardening”! We are always glad to hear from you as well! other gardeners and composting friends our webpages and blogs will give you the perfect opportunity to do so. If you want to get some great tips about vegetable gardening visit my friend Lorraine at Vegetable-gardening-with-lorraine. We have worked with worm castings and worm tea for many years now and have had only the very best experiences with them. Our soils here are in general extremely poor. 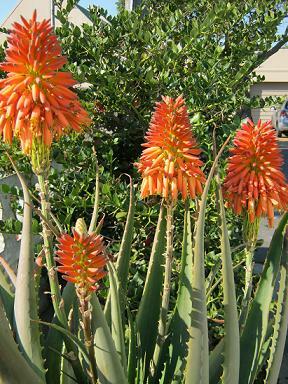 Aloes are beautiful and are easy to maintain. up to half a meter / 20 inches high. One Tomato plant bore more than 500 fruit over a period of 3 month. Paw Paw trees grew out of worm farms to a height of 3 meter without us sewing their seeds. We harvested the first tree melons from them after only 2 years. 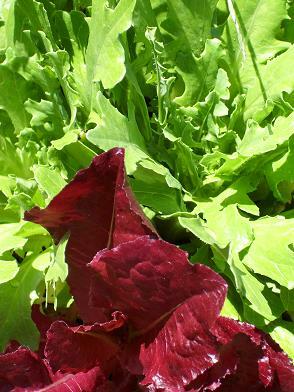 Rocket lettuce grown in Sandy soil enriched with worm castings. 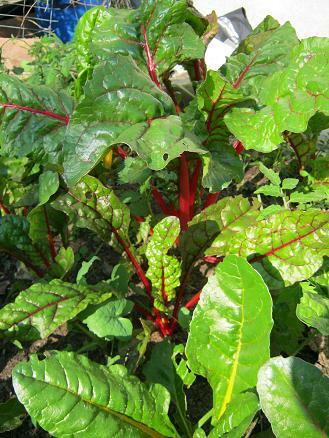 Swiss chard colorful and tasty fertilized with worm tea. Click the link Vegetable Gardening to get some great insights about the benefits of growing your own vegetables, from eating better quality and less toxic food, to fitness, emotional pleasure and mental stimulation. Links to easy vegetables to grow, natural ways of coping with pests from mould do birds, how to plant, make beds and much more information at my friend and permaculturist Carolines page. She's got loads of excellent information for you. I encourage you to follow the progress of our gardening tips section. I am sure you will see for yourself the amazing benefits that the implementation of earthworms and their waste products can have on the health of our soils and gardens. Find out about the benefits of Vertical Gardens.